You need to have an excellent website in order for you to obtain your goals and objectives. Our web design support Perth offers services which are based on respectability, integrity, and professionalism, and you can count on us to help you succeed! A website is necessary for you to compete in this technology-driven society. It isn’t something that you can simply take for granted, but it’s something that you should prioritize. Constantly updating your website will attract new customers and keep old ones. It is also a way to let them feel that they are valued. It is not uncommon for business owners to have stagnant websites and this can be attributed to them being busy or having the mindset that it is okay to leave it that way. Your business site is just as important as your client. Why? Because it serves as your primary tool in online marketing. Without it, you have no other means to get people to know about your business, at least not in the online world. The experience of your customers will determine the success of your business. You have to make sure to give them an updated website that will attend to their needs. At Aleph IT, we can give you a web design support that will give you just that! Here at Aleph IT, we maintain, engineer, repair and modify to improve. Your website are in good hands as our workers will give you services that are worthy of your expenses. Each of the features comes with surprises. For our website maintenance contracts, you, our beloved customer, can choose among our different payment packages. You can pick what suits your budget best. We offer PAYG (pay as you go) method or a long- term payment for our long- term web design support services, of which you are entitled a full 24/7 support. If you are still starting up, we can guide you and do the job for you. We pride ourselves in giving our clients a satisfactory service. We do not only build websites but we also build relationships with our customers. Our web engineers can give an assessment and help you plan your project. We do branding, launching and maintaining. Furthermore, our web repair services will ensure that your site is always up and running. As we are home of visionary IT workers, we guarantee high quality results. Errors, bugs, update failures, malware and spam enquiries are just few of the many things our experts can fix. Lastly, we offer site improvements which are user- driven. We can give refreshments to your site if you believe it’s too old already. We will help you boost your return of investments! 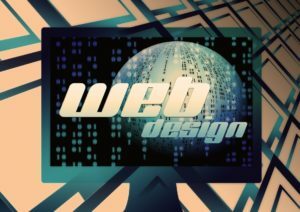 Call us now for web design support Perth. You will not regret it! Talk to our customer representative for a free quote. This entry was posted in Aleph IT Services and tagged affordable web design, it support web design, web design support.